Dr. William Davey Crockett provides Invisalign® at his Richmond, VA, practice to straighten teeth using an inconspicuous orthodontic therapy. Adults and teenagers who want to correct overlapping, widely spaced, or otherwise misaligned teeth no longer have to wear bulky metallic braces with painful bands and wires. Invisalign® is an innovative orthodontic therapy that utilizes custom-made acrylic dental aligners to reposition teeth over the course of nine to 18 months. 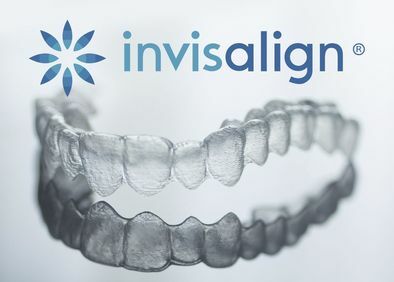 Since the year 2000, Align Technology has offered Invisalign® for patients who are concerned about their appearance while straightening their teeth. 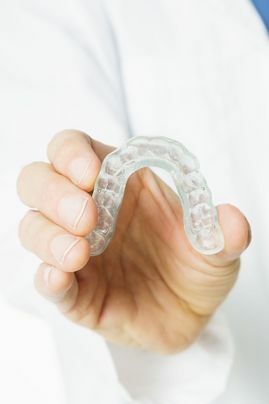 Invisalign® is a patented therapy that features clear, removable orthodontic aligners that fit in the mouth like an athletic mouth guard or bruxism appliance. Each Invisalign® aligner is custom-made to suit your orthodontic needs. We begin by scanning the patient’s mouth to capture a digital impression. This data is analyzed using special software, and your treatment plan is generated, detailing the number of aligners required and the projected length of treatment. Once the patient accepts the plan, an Invisalign® laboratory fabricates the entire series of aligners, which usually ranges from 11 to 45 trays, depending on your needs. You will visit our office to receive the first few trays in your treatment plan. You should wear the trays for at least 22 hours each day. Remove the trays to clean them, brush and floss your teeth, and during meals. You can also temporarily remove the aligners when you are having your photo taken, speaking in public, or for special occasions. Failing to wear Invisalign® the proper amount of time each day could result in dental relapse, meaning teeth shift out of their proper position. This will require a reconfiguration of the treatment plan and new aligners will need to be fabricated. Every six weeks, you will attend a quick evaluation appointment so Dr. Bousaba can make sure your treatment is progressing as planned. He will also give you the next few trays in your series. Wear each tray (or set of trays, if top and bottom arches are being treated) for two weeks before discarding them and moving to the next trays in your series. Once treatment is complete, Dr. Bousaba will give you a retainer, along with instructions for use. In most cases, patients should wear the retainer constantly for a brief period, then only while sleeping and as often as directed. Neglecting to wear the retainer per the doctor’s instructions could result in relapse and the need for re-treatment. If you wear your retainer properly, your teeth will remain straight and uniform indefinitely. Once the patient accepts the treatment plan, an Invisalign® laboratory fabricates the entire series of aligners, which usually ranges from 11 to 45 trays. Because of its discreet look and flexible removability, Invisalign can also be a great option for teen patients. To learn more about Invisalign® and why it is a great alternative to braces, contact us today. As an Invisalign®-certified dentist, Dr. Bousaba offers this treatment for teenagers as well as adults. Short-term Invisalign® systems are also available for appropriate cases.